To make your blog readers happy is a continuous challenge, isn’t it? Sometimes it’s tough to figure out what exactly went wrong when your efforts to put together a great post evaporated in a lack of comments, social shares and overall traffic. Even tougher when you are left alone to figure out because you have no idea how to collect and analyze your blog data (and your readers, staying silent, won’t help). That’s why I collected 13 free tools to help you improve your blog— all tools that I use myself in the effort to better my (many) blogs and give my readers a reason to come back and engage. The free version of Woorank allows you to analyze your website and assign a score to it, indicative of its strength in terms of SEO, design and marketing potential. Woorank gives advice to improve your blog in all these areas, linking out to lots of resources as well (mostly from their blog). For example, one of my blogs was assigned a (decent) score of 64.2 and I received advice on how to improve my blog’s speed performance and meta description. You can look up the Woorank review of my blog at this link to see how the tool works. MOZ’s Open Site Explorer is a complete tool even in its free version. It allows you to your inbound links, your most linked pages and other factors like anchor text and even the possibility to compare your metrics with a competitor. I used MOZ’s OSE to analyze one of my blogs, which was assigned a Domain Authority of 23, a Page Authority of 33 and a 2/17 Spam Score because I have many outbound links. The tool also gives a Spam Score to every inbound link if finds. You can use MOZ’s OSE to see what kind of inbound links your blog generates and get in touch with webmasters (especially other bloggers) who linked to you and with whom you could build relationships and increase your traffic, too. Also, your top linked page can give you an idea of which topic angles are mostly appreciated by your users (and you can write more of those!). You can improve the technical side of your blog with PingDom’s Website Speed Test. I tested one of my blogs with this tool and it says my site loads in 2.93 seconds, a good speed: the Performance Grade score the tool assigned to my blog is 81/100 and the tool says “Your website is faster than 55% of all tested websites“. Under the scores, you will see a graph of all site elements (CSS and JS files, scripts, etc.) and their loading speeds, so you will know what it needs optimization at a glance. — in addition to other metrics. For example, I analyzed my personal blog and Alexa showed me both my Global Rank and my Rank in Italy as well as the rate of change in rankings over the last three months. Top keywords from search engines gave me a good glimpse of what kind of blog posts to write about next time. Sometimes that will mean an improvement in bounce rate and daily time on site. Klout allows you to see how certain posts you shared fare on Twitter, Facebook and other social media, as well as to schedule new posts based on the activity of your followers and hot and trending topics in your niche(s). You can also share trending topics that Klout will suggest on the basis of potential engagement with your followers. You can create new content for your blog on the basis of the topic (Explore > My Topics) and follower analysis Klout does for you— it will make it easier to generate social shares for your posts and increase your traffic. WP Statistics is a WordPress plugin for blog analytics that may ideally replace Google Analytics, Piwik and other analytics software. I say ‘ideally’ because the pageviews reporting might not be well filtered and bot/spammer visits may be counted in the totals, but this is still a great tool to have handy if you run a WordPress blog. Just go to quicksprout.com and enter your blog URL in the field at the center of the page, click “Yes! I want more traffic” and Neil Patel’s tool will give you a complete report of the improvements you can apply to your blog. For example, the tool assigned a B score and a 77 speed score to my freelance writing blog, suggesting that I improve my load time, my H tags and my social media presence, that the tool considers a bit low. I got two pieces of helpful advice, too: “You need to increase your back links, you should consider creating an email outreach program” and “Create more content rich pages, as it will help you rank for more long tail keywords“. Both would help improve my blog content and increase my traffic. SimplyMeasured.com made several free social media analysis tools available to users that aren’t just helpful for your social media efforts, but even to see which ones among your shared posts perform better and what content topic angles you can leverage to generate even more traffic. 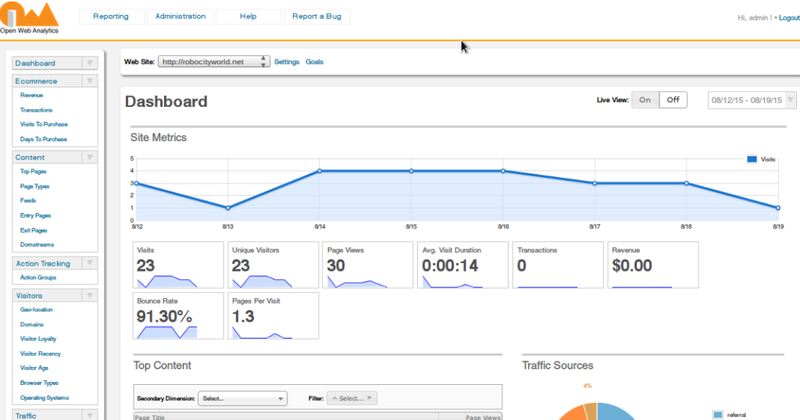 Open Web Analytics is a self-hosted analytics platform that you can easily install in a subdomain of your website. Unlike Google Analytics and Piwik, OWA comes with a heatmap and several other tools to help you analyze both traffic and user behavior and identify those areas of your site you can leverage for conversions. The tool’s name speaks for itself– you just enter a headline you came up with for your post and the tool will analyze it for you and give it a score. For example, I used “5 Amazing Ways To Market Your Oldest Blog Posts” as a test headline and the tool gave it a B+, recognized the headline as a “list” type, said my word and character count are just right and the overall headline shows a positive sentiment. The tool assigned a score 66 to my headline. Very helpful to improve your blog post headlines and increase your traffic. I used my freelance writing blog as an test subject. The tool gave it an overall score 25 and calculated its Authority (47), TrafficRank (33), WebzyRank (5.6) and WuzzRank (0.5). The tool mostly analyzes SEO elements, like titles, keywords, backlinks and a social presence, but it’s helpful because it can give you a glimpse of how you are faring On-Page SEO wise (you could try some advanced techniques, too). Open Link Profiler is a complete free backlink analyzer you can use to improve both your blog content and your backlink profile. And many more. 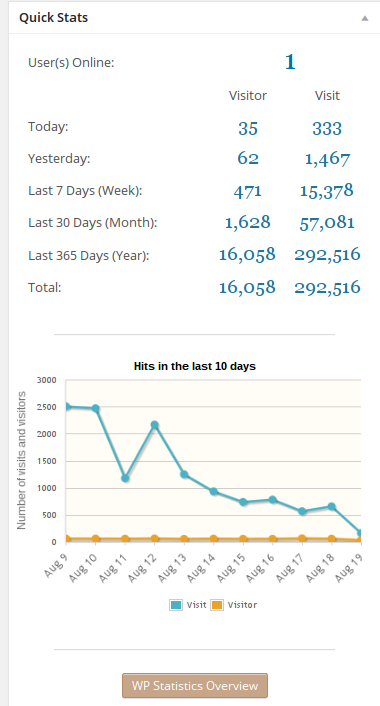 It also displays backlink stats by industry: for example, here are the link stats for Advertising. Look at data related to your backlinks, your most linked pages and the most used anchor texts and link ages. Can you see patterns? Any patterns you can find give you a hint on which topics are the most liked and deemed link-worthy on your blog. You can leverage this data to create new content that is closed related to your most linked and appreciated. Ann Smarty’s brainstorming platform is a great tool to find fellow bloggers who can give you ideas to improve your blog. I used MyBlogU to ask the community what topic angles they would like to see me tackle on my freelance writing blog and I received a ton of ideas that could help me cover blog posts until the end of the year. If your problem is not topics to blog about but design or SEO issues, you can ask for help. The platform also provides the community with a forum to discuss problems and help each other. 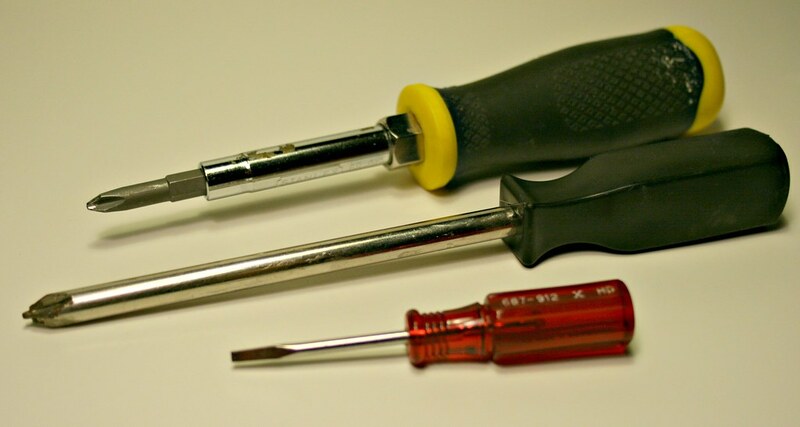 What’s YOUR favorite tool that helps improve your blog?